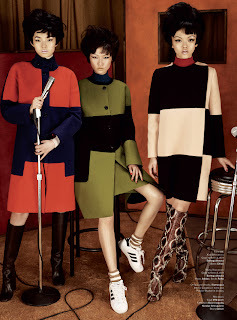 V Magazine features Asia's most exciting new talent in a groovy spread channeling the all-girl group the Supremes. 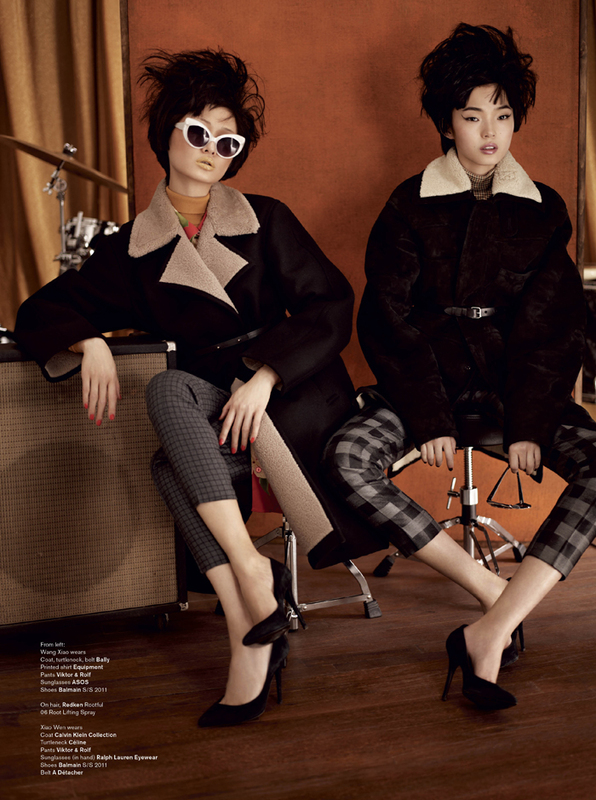 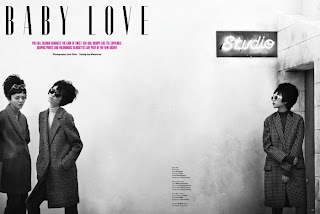 Xiao Wen Ju, Rila Fukushima and Wang Xiao take centre stage for the lens of Josh Olins sporting perfectly coiffed bee hive dos and retro-inspired pre-fall fashions from Chloe, Bottega Veneta, Balenciaga and Balmain. Styled by Jay Massacret, all three models look divine in knee high boots, graphic prints and voluminous mod-style jackets. 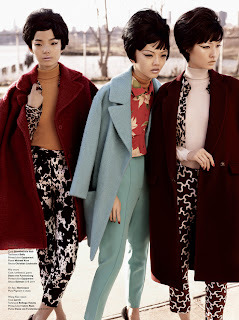 Wen Ju, Fukushima and Xiao bring just the right amount of wide eyed innocence and diva in the wings attitude to take this editorial straight to the top of the charts.